CLICK HERE to PRE-ORDER Hank's Shaw's newest cookbook Pheasant, Quail and Cottontail!! Register Now for Any or All of the Events by Thursday, 3/22 to ensure food, name tag, and event materials! This year's Oklahoma Pheasants Forever & Quail Forever Habitat Convention has so much to offer attendees! Catch up on the latest quail research, learn tips and tricks for cooking wild game from celebrity chef Hank Shaw, learn from experts on best land management practice for quail and other wildlife biologist experts, learn how to quail hunt if you've never learned how and much, much more! PRE-ORDER Hank's Newest Cookbook HERE!! CLICK HERE TO REGISTER VIA ONLINE WITH SECURE CREDIT CARD PAYMENT - Don't Forget to Register by March 22nd for ensuring meals, name tag and event materials! Meet Lacie Lowry Sat night at the State Fundraising Banquet! Meet Lacie Lowry March 24th! Lacie Lowry anchors the morning news for News 9. You can catch her weekdays from 5am-7am. She is an Emmy award winning journalist from Texas and she got to Oklahoma as quickly as she could. 😊 Outside of work, Lacie started hunting 5 years ago and has developed a love for the outdoors and conservation. We know she hunts! 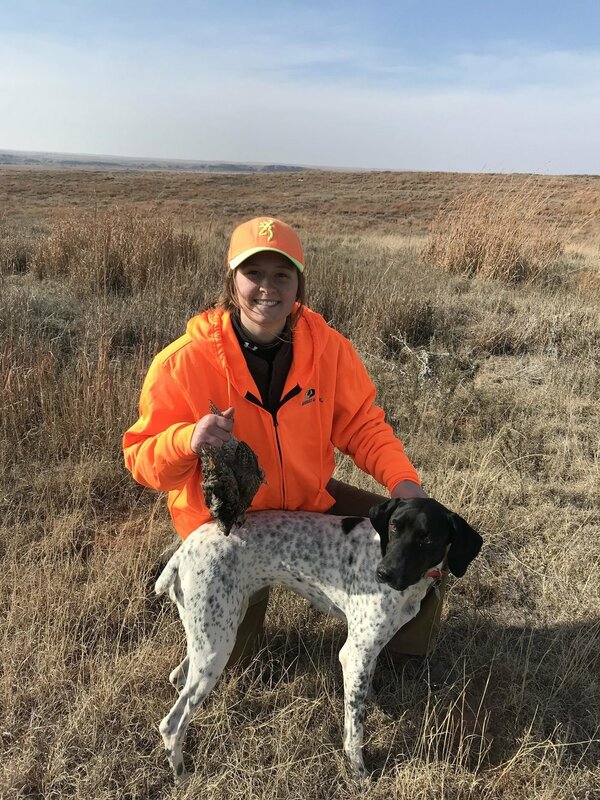 Lacie joined us at the Timberland Research Hunt Jan 2018!